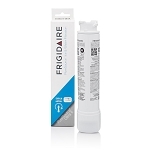 The Frigidaire WFCB Water Filter fits Frigidaire and Kenmore refrigerators made before April 2001 where the filter is inside a round plastic housing. 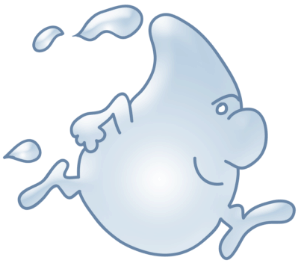 We all need 64 oz of water per day - no bottled water, the stuff right out of our fridge is the best tasting, low cost, no recycling, and easy to use. We don''t run out. Have used this type of filter for several years since owning our refrigerator and have had good results and long lasting life. A: I have been using these for several years and very satisfied with ease of install and most important...The great tasting water!!! A: The filter needed replacement. A: I didn't experience any problems with mine. I did notice the new filter was slightly different than my old one, however it seemed to be functionally identical. Suggest your customer try to reinstall his old filter and see if that works ok. If it does then there may be some small difference in the new type filter. A: I have bought several of these filters, and I had the same problem with one of them not snapping into place correctly and leaking water inside the fridge. WFF replaced te defective filter free of charge, and the new one snapped in correctly. Q: I have always ordered WFCBFrigidaire PureSourcePlus Refrigerator Water Filters from you but I see they are all listed as "Out of Stock" on your site. Is this temporary or have you discontinued them and replaced with something else that will fit my Frigidaire refrigerator?